Experience an Energy Healing Session! The 3rd Saturday of every month from 1-5pm starting in November. Free or by donation. 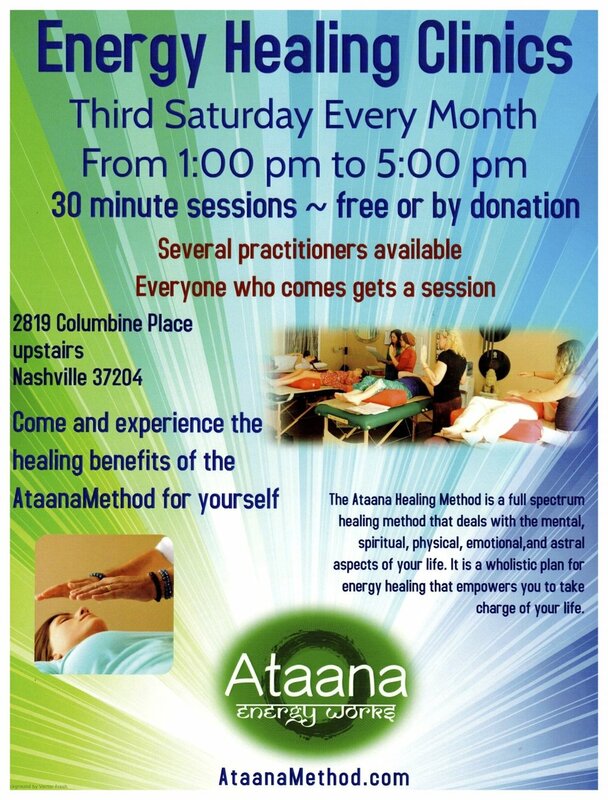 Ataana Method Energy Healing Clinic located in Berry Hill! Special Note* Canceled May 19th. Join us at the Galactic Expo!!! Email Antonia to Pre-Book your mini energy healing session at the Expo. Limited number of sessions. $20 Pre-book now!